There are exciting changes coming for the Kansas Art Education Association'sYouth Art Month Exhibit and Celebration!!!!! Our venue will change to the "Alice Sabatini Gallery in the Topeka Public Library." Our exhibit time frame will go from ONE DAY to six WEEKS!!! The artwork will be professionally shown in a gallery setting and will be available for viewing the entire time to make it more convenient for families to see the show! We will still have our Celebration/Reception/Awards on the last day of the exhibit. We will be able to present our recognition awards in an auditorium!! Our Sargent Art Sponsored Youth Art Month Art Competition for member's students will be entered and judged digitally with the work also being physically shown in the Youth Art Month Exhibit in the gallery. Note that Sargent Art provides us with a $1500 check to the student of the "Best of Show" artwork! Don't miss out on this opportunity for your student! 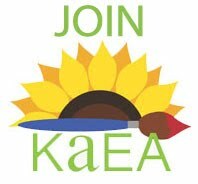 If you are not a member of KAEA--join now!! 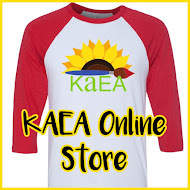 With all of these changes--it is important that you review the new rules/guidelines/labels on the KAEA website. LAST DAY to deliver YAM artwork to the Sabitini Gallery. All artwork MUST be received by 6:00 PM in order to be included in the show! This includes any mailed work. Plan ahead to make sure that it is received in time! Each art teacher in the state of Kansas may exhibit ONE student's art from EACH school in which they teach.